I love content marketing. I love the concept of it, the execution and the results! But many people, especially small businesses, just don’t know where to start, and while regular blog posts, for instance, can be a brilliant form of content marketing, there are actually many more directions a great content marketing strategy can take. The rather clever people at PRWeb have created the following infographic about it, highlighting different options which are presented in a chart which divides them up into the most and least easy to implement, and the most and least attention needed to produce the content. Enjoyed this infographic? 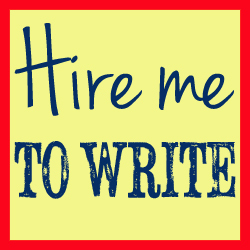 Get more small business marketing tips from BloggingPRWeb. Social Triggers is a really fascinating blog and podcast by Derek Halpern which looks at marketing from the point of view of psychological research. It presents tried-and-tested information in an accessible way and I learn a lot every time I go over there. 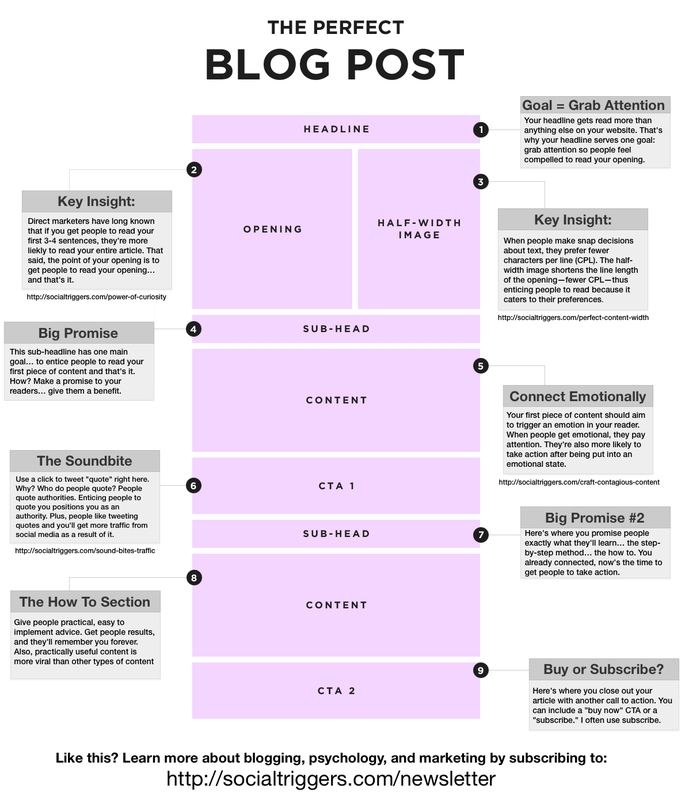 This infographic has some great pointers for how to write the perfect blog post. Enjoy!